Just went for my vanquish fat removal trial this afternoon. I must say the girls and the doc are super nice and down-to-earth. Feels very relaxing and cozy. Their price also reasonable compared to other clinics. Overall very pleased with the whole experience. Thank you guys! Saw their vanquish fat melting trial on fb and decided to give it a go. All I can say is i'm truly impressed with the results. Staffs and doctor very nice too. Thank you. Staffs and doctor is nice. My vanquish experience was awesome! Really amazed by the results... The dark spot on my cheek lightened a lot. I don't need to waste time to apply so much concealer and powder now. And although when I went there during evening time and the clinic was quite busy, the nurses and doctor was very welcoming and cheerful. Going back for another session 3 weeks later. Can't wait for the spot to be gone! Had a great experience with their service and results. Currently doing my pigmentation treatments there. The nurses and doctor are very friendly every time I visit. If you want reasonable price and good results, can give them a try. Did my pigmentation treatment here. The result is really good. Cos I tried a few places previously but not much results. My pigmentation is almost gone now. The nurses and doctor is very friendly and professional too. I would recommend this clinic. Great treatment and professional team! Many People have stubborn fat despite diet and exercise. Losing weight and slimming down fast have always been a problem. These excess fats are usually found in areas such as the tummy, flanks, thighs, back, hips & arms. 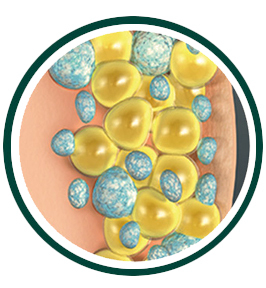 We utilise clinically proven fat freezing technology to selectively cool fat cells to cause their natural death. 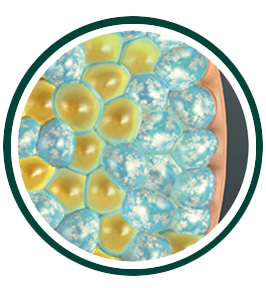 As fat cells are more sensitive to temperature, they crystalize faster than normal cells. 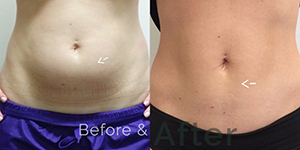 As a result, there is no damage to your nerves and other cells unlike liposuction or tummy tuck. In the weeks to follow, frozen fat cells shrink and start to die. They will be naturally removed by the body through metabolism. Your overall fat layer significantly becomes slimmer. Results are lasting as the dead fat cells are permanently gone. Am I a good candidate for fat freeze Cryolipolysis treatment? Fat freeze cryolipolysis can be used on most skin types, and is most often used to reduce unwanted fat deposits around the abdomen, waist, flanks (love handles), back and thighs. The treatment is an excellent choice for people with a busy schedule, as the treatments are very quick, effective and most often require no downtime. 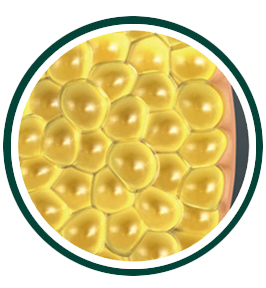 Where do the fat cells go? Simple put, your body naturally flushes them out through the lymphatic system. Will my fat cells grow back after my fat freeze cryolipolysis treatment? The good thing about the results with fat freeze cryolipolysis is that the fat cell elimination is permanent. 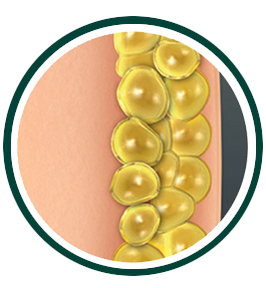 The destroyed fat cells are gone for good and will not regenerate. Are there any side effects for fat freeze cryolipolysis treatment? 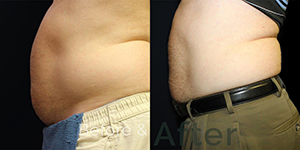 Fat freeze cryolipolysis is a VERY safe treatment. There are numerous clinical studies carried out by scientists and doctors for use in dermatologic and aesthetic procedures and proven to be safe and effective. Unlike liposuction or tummy tick, fat freeze cryolipolysis is 100% non-invasive; this means no incision, needles, anaesthetic or sedation. Most people usually resume their routines immediately after treatment. 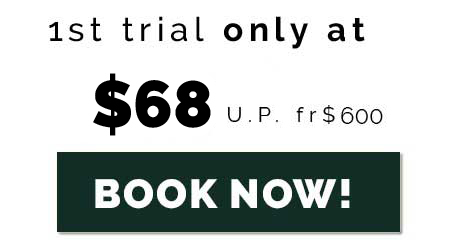 Book Now To Enjoy This Limited Time Offer! Last 2 slots available. Promo ending soon. Copyright © 2019- 8 Medi-Aesthetics Centres. All rights reserved.